Do you want to learn about how Moroccan Jews celebrate the end of Passover? Do you happen to love cooking and hosting people? Then come take part in the distinctive (and delicious!) celebration of the Mimouna! The Mimouna takes place on the evening of Tuesday April 2, the last night of Passover. Once the holiday is over Moroccan Jews open up their homes to family and friends while visiting each other throughout the night. 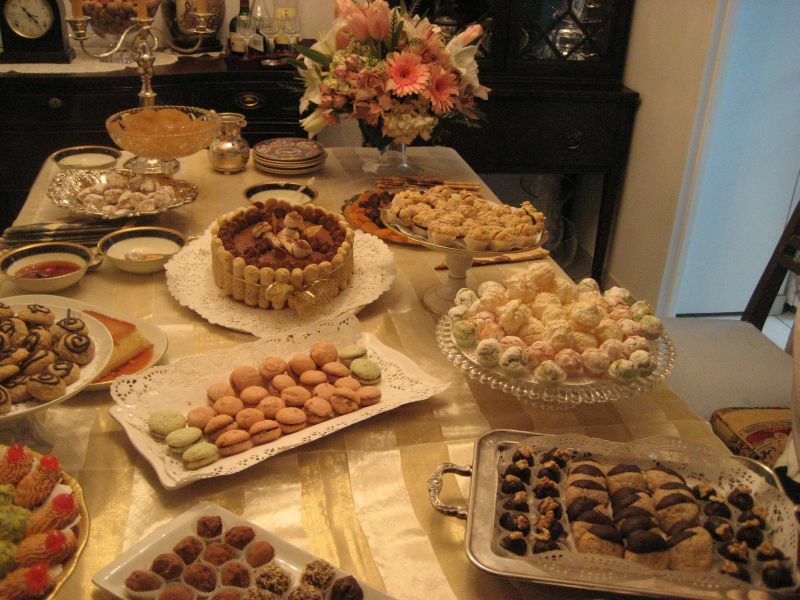 At the center of these celebrations is the Mimouna table that is filled with a variety of sweet foods that are traditionally prepared for the holiday. Roots & Recipes is organizing various mimouna celebrations that you can attend, in order to bring this wonderful tradition to the mile end/plateau community. We are looking for 4 people who are interested in hosting a mimouna in their homes, as well as people who would be interested in helping those hosts cook and prepare for the mimouna on the day of the event. If you are interested please e-mail rootsandrecipes@gmail.com with your contact information, and why you are interested in hosting. ← Here is Episode 2!